What’s the point in signing someone who isn’t fully healthy which is what you were suggesting? That has been the lynchpoint with DT all the time. Definitely not "ready" (as in even close to 80%) for first part of camp so only limited time with Brady apart from video sessions. It is a question of how much he is looking for. If he can be had relatively cheap then there is nothing wrong with him going the PUP / IR. The risk is minimal. 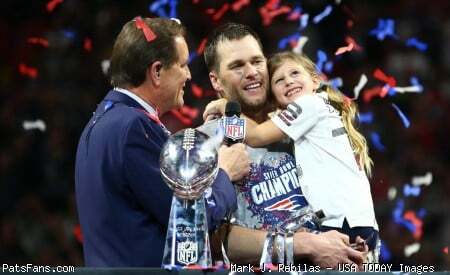 Lets be honest with BB and Brady around chances are that the most important games will be late in the year / start of new year. There is enough time. We’ve whiffed this offseason on a number of good WRs. We have to hit a few home runs in the draft. I don't think we whiffed on anyone. Fair enough but I don’t really see the point in signing someone to put on PuP. Sign him now if he’s healthy or sign him when he gets healthy. The other thing to bear in mind is that the only WR we have on the roster next year is Berrios. We need to draft one and probably two just so that we have some WRs signed for next year and so roster spots need to be taken into account. We can probably manage it with Thomas but we’re at the limit: Edelman-Gordon-Dorsett-Thomas-Rookie-Rookie makes six. Of course one of the rookies could get Foxboro flu but six is a full roster. So we didn't whiff on Humphries, Tate, Shephard, and Cole Beasley? Pretty clear the Pats were interested in all of them, at least according to reports. Edelman-Gordon-Dorsett-Thomas-Rookie-Rookie makes six. Of course one of the rookies could get Foxboro flu but six is a full roster. I wouldn't be shocked with Edelman-Gordon(other vet)-Dorsett-Rookie-Rookie-Rookie. A triple dip in the draft? AJ Brown or Samuel early, maybe Boynkin or Sills middle, Morgan or Renfrow or someone later? This seems to be the position where the Pats are having the most trouble in nabbing bodies. Fair enough but I don’t really see the point in signing someone to put on PuP. Sign him now if he’s healthy or sign him when he gets healthy. Which brings me back to my initial posting. I think there is some logic in signing a WR fully aware he will most probably start the year on PUP. Him being not cleared for practice doesnt mean he cant participate in meetings, do tape review with Brady or study the offense while he is working through his rehab. The issue with DT is the question of compensation. You can only do what I mentioned above if he risk is minimal (e.g. lots of game roster incentives ect.). But what incentive would DT have to sign a contract like that now when he can just work on his own and then maybe sign a bigger deal during the beginning of September (or late August) when one teams panics because someone got injured. The other thing to bear in mind is that the only WR we have on the roster next year is Berrios. We need to draft one and probably two just so that we have some WRs signed for next year and so roster spots need to be taken into account. We can probably manage it with Thomas but we’re at the limit: Edelman-Gordon-Dorsett-Thomas-Rookie-Rookie makes six. Of course one of the rookies could get Foxboro flu but six is a full roster. I agree. Which is I still think 1-2 trades will happen and not necessarily only for players on their final year. Any FA signing at this point will most probably be short deals for veterans anyway. I am not disagreeing with you at all manx. I just dont think that Gordon's and Thomas' situation are linked much. The only one of those that they 'whiffed' on was Humphries. The rest might as well have been the players' agent using the Pats name as negotiation tool. I am not even sure why you would mention Shepard here. If you do that then why not also mention AB and OBJ ? With the majority they did their due diligence but it was only Humphries where they increased their offer. I don't know why, but from all the reading and film, I like Samuel for the Pats more than Brown (1a and 1b). Cole Beasley and Tate said they turned down NE, as did Adam Humphries. The point I’m making is the Pats have struck out so far this offseason in improving their WR group. Not sure why some of you get so sensitive about it. Like I said, the team needs to badly address this in the draft, as I’m sure they will. I love Samuel too so I’d have no objections. My number one WR is Hollywood just because that explosion/speed is so rare but AJ and Deebo are 2 and 3 with tags touching. McLaurin is my no4. Whether they “whiffed” or not, they were clearly interested in a number of WRs and failed to bring them in for whatever reason. This is not, or at least, should not be a controversial point. Because Humphries is the only player that you listed where they actually struck out. The others it was the same kind of deal as every year where the team offers them a cheap deal and dont care much further if the player says no and signs somewhere else for more money. With everyone else in your list nothing different is happening than in the last 15+ years of BBs tenure. There is nothing sensitive about this. This is just reality. The controversial point is making this out to be different than any other offseason in the last 15+ years. It is business as usual. Humphries is the only anomaly on his list of names where the team actually went back with a bigger offer. Something they rarely do. I agree. But they’ve clearly been in the market for trade and FA WRs (the level of interest is unknowable) and they’ve failed to add anything beyond a couple of replacement level guys. The reassuring thing is that they’re clearly aware that they need to upgrade the position. Sterling Shepard would have been nice though. Big fan of his coming out. Now you are changing the goal posts. Do you have any proof that NE gave Tate and Beasely low offers? All I know is NE attempted to get them and it didn’t work. If someone makes an attempt and misses it’s a whiff. You’re being too sensitive.